Tara believes that a sustainable food system is fundamental to a strong, healthy society. Some of her earliest memories come from the local farms and food that surrounded her growing-up in southwestern Ontario: gardening and cooking with her mom, budget-conscious sides of beef ordered from local farmers for winter stews and roasts, regular trips to the century-old farmers markets in Kitchener and St. Jacobs, Ontario, summer jobs in nearby orchards, fields and farm stores. For Tara, the Great Lakes regional food-shed of the 1970’s and 80’s bonded urban to rural, providing nourishment, jobs and generations of community connections, and it became the gateway to her passion and life’s work in food systems development. For the past 20 years Tara has worked to improve regional food systems and people’s access to them – from working with low-income families in Ontario to pool resources to buy healthy food directly from organic farmers, to teaching kids how to grow food for school lunches, to helping to create social and economic opportunities for inner-city kids in the American South, to collaboratively shepherding a six-fold expansion of Vancouver’s Farmers Markets benefitting hundreds of BC small farmers and food processors and thousands of citizens. Throughout, Tara has lead and implemented strategies to optimize the capacity of non-profits, and has engaged decision-makers, businesses, funders and the public to create policies and infrastructure that support robust, community-controlled, future-oriented local food economies. Tara looks forward to a world in which small rural and urban farmers and farm-workers can make a decent living and support their families as growers and stewards of our collective natural environments; where farmers markets and local food supply chains expand and flourish; where farmland and waterways are healthy and permanently protected from development; where local grocers and chefs can directly source locally-grown foods and where all people – regardless of income – have access to the freshest, top-quality foods, grown sustainably by farmers they know and trust. 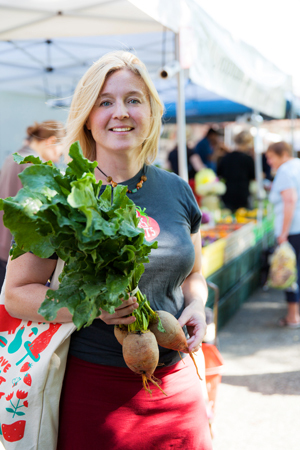 Since 2005, Tara has worked with the outstanding Vancouver Farmers Markets (VFM) team to develop what is now one of the largest and most effective farmers market networks in the Pacific Northwest, serving 265 vendors and 250 000 shoppers each year, while keeping over 16 000 acres of BC farmland in production. Tara is very proud of everything that VFM and its supporters, funders and partners have accomplished over the years, resulting in meaningful, tangible social economic and environmental benefits for small regional producers and the greater Vancouver community. Tara holds a master’s degree from the University of Western Ontario and has served on numerous non-profit boards and councils promoting more resilient regional food systems. 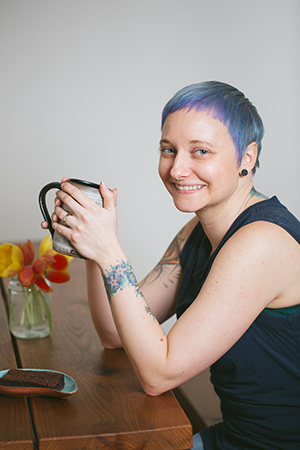 Tara was a 2015 nominee for both the YWCA Women of Distinction and Vancouver Board of Trade Wendy McDonald Awards, and presented at the 2015 Social Enterprise World Forum in Milan, Italy. When she’s not advocating for resources, policies and infrastructure to strengthen regional farm and food systems, Tara can be found browsing VFM markets for dinner items, trying to coax her husband and daughter into helping weed their new backyard kitchen garden, and dreaming of the day when she’ll have some time to get back to the potter’s wheel. Laura seeks to re-establish connections between people, places and their food. 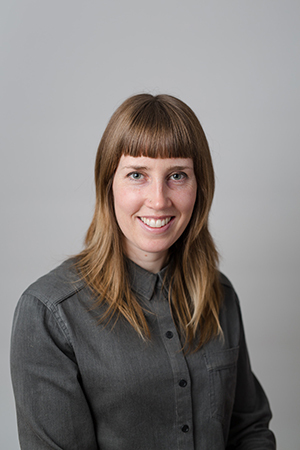 Before joining Vancouver Farmers Markets in 2010, Laura led multi-stakeholder community development projects across Canada with Katimavik and engaged Vancouver citizens in urban forest restoration with Evergreen. She is a facilitator, experiential educator, and master behind-the-scenes people-mover who delights in getting her hands dirty to change the food system. On her time off, Laura can often be found in East Vancouver walking the Drive, on her bicycle, or pulling carrots the size of her forearm out of her garden plot. Originally from Eastern parts, Jen has called Vancouver home since 1998. In the 10 years she’s been with VFM, she’s fulfilled a variety of roles including market manager, development manager, and most recently, stepping into the role of communications manager. Outside of friends and family, Jen’s first love is food, closely followed by art and travel. When she’s not sharing stories on social media about farmers, or raising funds for VFM’s Fresh to Families Project, she’s busy completing her BFA in Sculpture at ECUAD. Jen is a strong believer in the mantra “Healthy Food for All”, and is particularly motivated to increase access to fresh, local food for low income families in Vancouver. 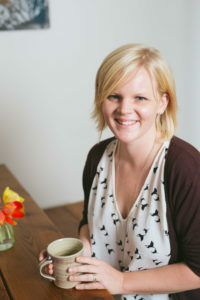 Christa Wood joined the VFM Team as Office Co-ordinator in March 2013. If you stop by our office at 1316 Grant Street, you’re likely to meet her at the front desk. 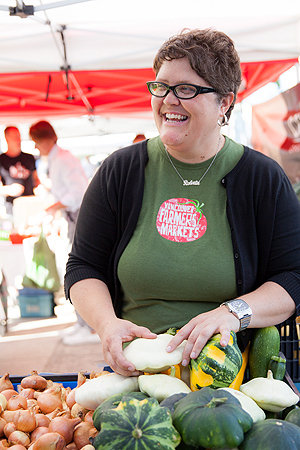 Christa loves picking up fresh ingredients from the markets for new and sometimes experimental recipes she’s trying. When she’s not working at the VFM office, Christa and her husband Devin can be found working in their backyard or checking out what’s new on the local restaurant and brewery scenes. 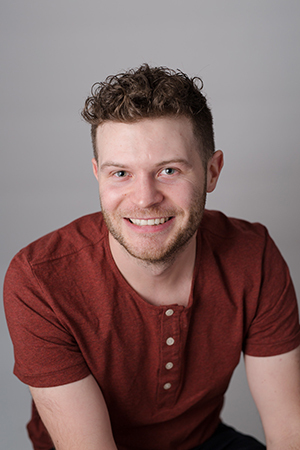 Randy got involved with farmers markets as soon as he moved to Vancouver from Alberta. He started as a volunteer, was quickly hired as a part-time employee and is now one of Vancouver’s year-round District Managers. Randy currently oversees the West End, Downtown and Nat Bailey Farmers Markets. When Randy’s not at the farmers market, he is in the wood shop at BCIT, learning about the intricacies of fine wood joinery (and crafting beautiful wood things) or in the kitchen, blending his seasonal market finds into smoothies and making other tasty dishes! With VFM since 2003, Roberta works with a small team of dedicated staff on VFM Direct, our direct to foodservice produce aggregation and delivery service. When she isn’t working on behalf of farmers and local producers, Roberta can be found mixing up batches of butterscotch and hot fudge at Glenburn Soda Fountain, a shop she owns and operates with her husband Ron in Burnaby. 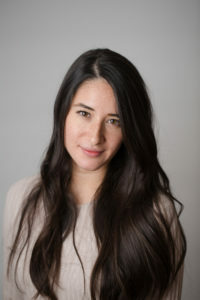 Roberta is a graduate of Langara’s Display and Design program, VCC’s Graphic Design program and comes by her love of food and the domestic arts from her mom.